SUBJECT :A week ago, butterfly enthusiast Arjan Basu Roy photographed the black windmill butterfly Byasa crassipes in Arunachal Pradesh’s Dibang Valley in the Lower Dihang Valley district, where the controversial Dibang Dam is proposed to be built. Elusive insect: The scarce siren or Hestina Niceville photographed by David Raju. May 12, 2018: They look rather plain at first sight, but these butterflies are thrilling scientists and enthusiasts alike. 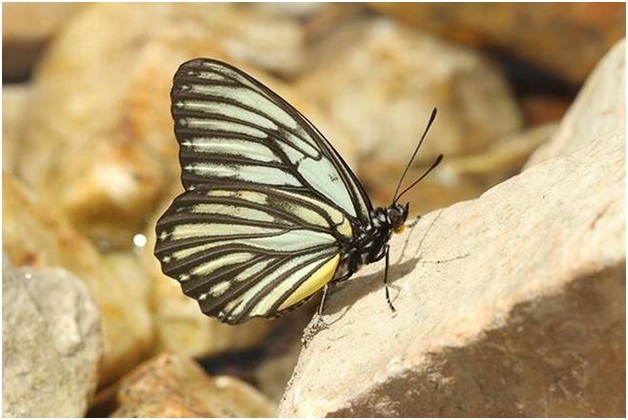 A week ago, butterfly enthusiast Arjan Basu Roy photographed the black windmill butterfly Byasa crassipes in Arunachal Pradesh’s Dibang Valley in the Lower Dihang Valley district, where the controversial Dibang Dam is proposed to be built. So far the butterfly has been mentioned only in two books: the 10-volume Lepidoptera Indica, a book on India’s butterflies by the East India Company’s Frederic Moore in 1913, and The Fauna of British India written in 1939 by George Talbot. The butterfly has not been recorded in India ever since, said Krushnamegh Kunte, scientist at Bengaluru’s National Centre for Biological Sciences. It was a seven-hour-trek to sight a rare bird in the wild that led nature enthusiast David Raju to the even more uncommon scarce siren butterfly Hestina Niceville in the Daranghati Wildlife Sanctuary in Himachal Pradesh in 2012. The species was being photographed for the first time in history, and being sighted for the first time in India since 1917. Only a few months ago did Raju post it on the online butterfly species repository, Butterflies of India. “It was a great feeling to know that it was a rediscovery for India,” said Raju, who works as a naturalist in Kanha, Madhya Pradesh. Both butterfly species are listed under Schedule I of India’s Wildlife Protection Act (1972), which ensures the insects the same protection as that given to tigers. Locations of butterfly sightings are usually made public in the Butterflies of India where both the species’ rediscoveries have currently been listed. However, the precise location of the black windmill is being withheld until the local police and forest departments have some safety measures in place to protect the insect from butterfly collectors. “Collecting of butterflies for sale as dead specimens is a big threat in the Himalayas and north-east India,” said Dr. Kunte, whose team runs the Butterflies of India online portal. Nature enthusiast Balaji P. Balachandran had shot pictures earlier this year of the frosted duskywing Erynnis pelias – recorded only from south-eastern Tibet and western China till now – in Anjaw district in Arunachal Pradesh. Several more new records and rediscoveries in India will be published this year according to Dr. Kunte.